Only a country with more than 1 billion people could attempt to plant 66 million trees in just 12 hours. In the Indian state of Madhya Pradesh they did just that, thanks to 1.5 million volunteers. “It’s the most important day of my life. It feels like the purpose of my life has been accomplished,” the state’s chief minister Shivraj Singh Chouhan said of the event on Instagram Sunday. The planting, organized by the state’s government, took place between 7am and 7pm, with volunteers in 12 districts along the Narmada river taking part. A total of 66.3 million trees were planted, consisting of 20 species. 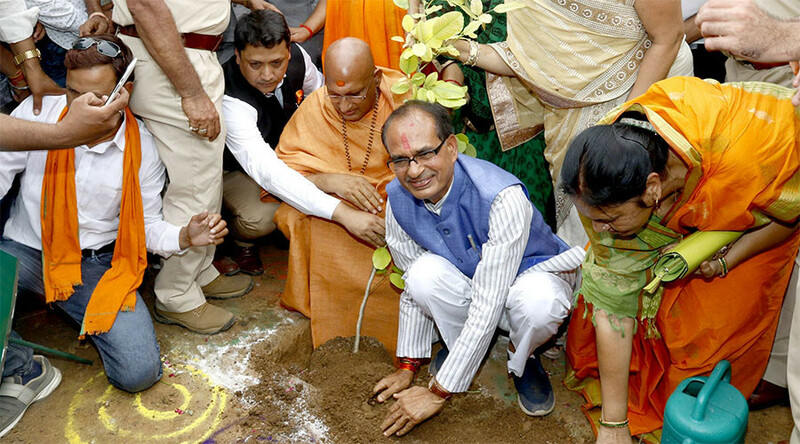 “While the world talks about global warming and climate change, people of Madhya Pradesh are making significant contribution to deal with it,” Chouhan said. Officials from Guinness World Records observed the planting, according to the Times of India, with news on whether the state managed to set a new record expected in the coming weeks. Last year its neighboring state of Uttar Pradesh set a world record when it planted 50 million trees in one day. Last month Indian Prime Minister Narendra Modi said India, the world’s third largest generator of carbon emissions, would cooperate in the fight against climate change. "The protection of the environment and the mother planet is an article of faith," he said at a joint press conference with French President Emmanuel Macron in Paris. It came days after Donald Trump announced the US would withdraw from the Paris agreement.